There’s no doubt the world is going green. However, the higher rate of adoption of green practices has seen a corresponding rise in green labels flooding the market. Combined with the increasing scepticism over green claims, this saturation in the market can make it difficult for people to make the right choices and get the most honest and transparent environmental information about the products they purchase. Keeping this in mind, the European working group CEN TC 350 created the new standard EN 15804 Sustainability of Construction Works - Environmental Product Declarations (EPD), with the aim of offering one synchronised European and Worldwide standard for reporting of environmental performance. An EPD is a verified and registered document that communicates transparent and comparable information about the environmental impact of products over their lifecycle. There are 24 environmental indicators within the assessment process of the EPD, which are broken down into four categories: Environmental Impact Indicators (7), Resource Indicators (10), Waste Indicators (3) and Output Flow Indicators (4). The seven Environmental Impact Indicators measure a product’s potential impact on global warming, ozone depletion, acidification, eutrophication, formation of tropospheric ozone, and abiotic depletion of non-fossil fuels and fossil resources. Report information the same way across all building products. Polyflor has EPDs available for most of their flooring ranges, providing completely transparent information about their products and their impact on the environment. 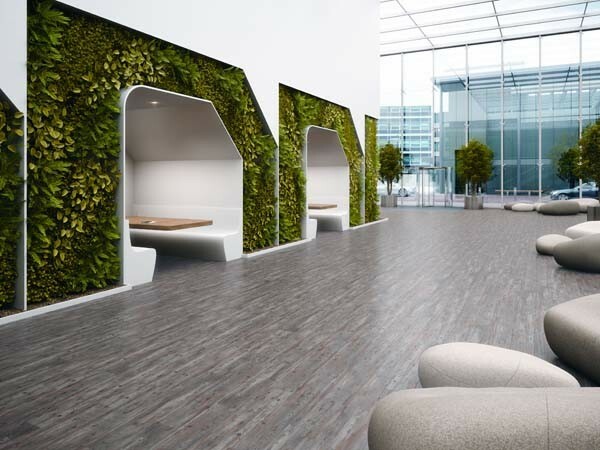 Having prioritised sustainability throughout their operations, Polyflor has adopted a system that effectively measures the environmental considerations put into their products.